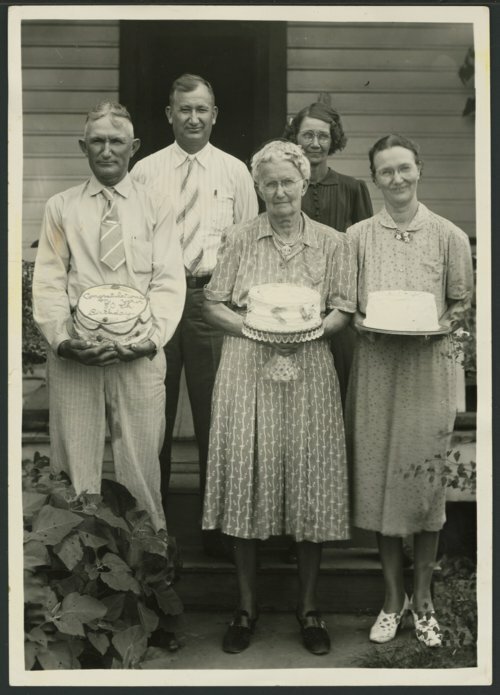 This photograph shows Ella Bird Lott celebrating her 80th birthday, with three people holding birthday cakes. Left to right are T.C. Lott, C. Van Lott, Ella Bird Lott, Bernice Hoagland, and Blanche Kennedy.